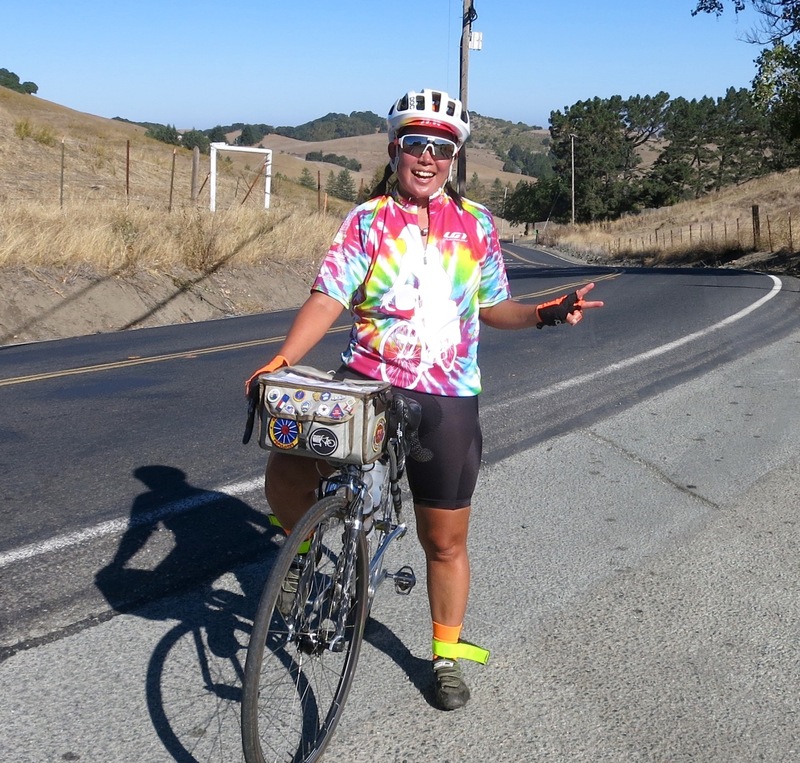 I’ve been wearing a big ol’ pair of lazy pants since PBP. 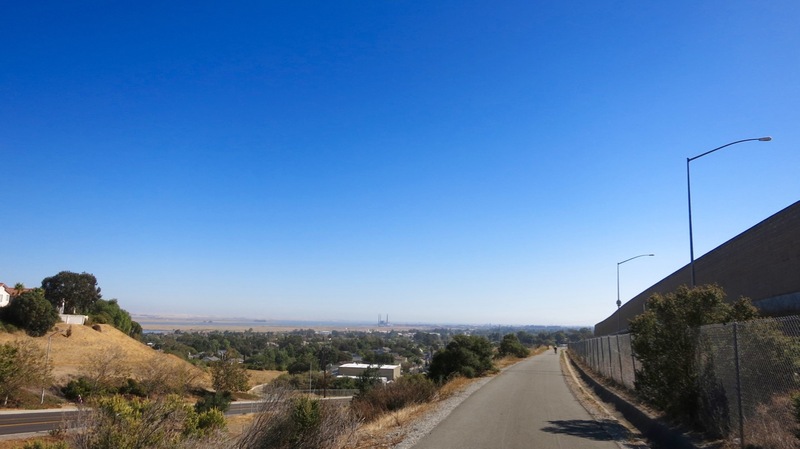 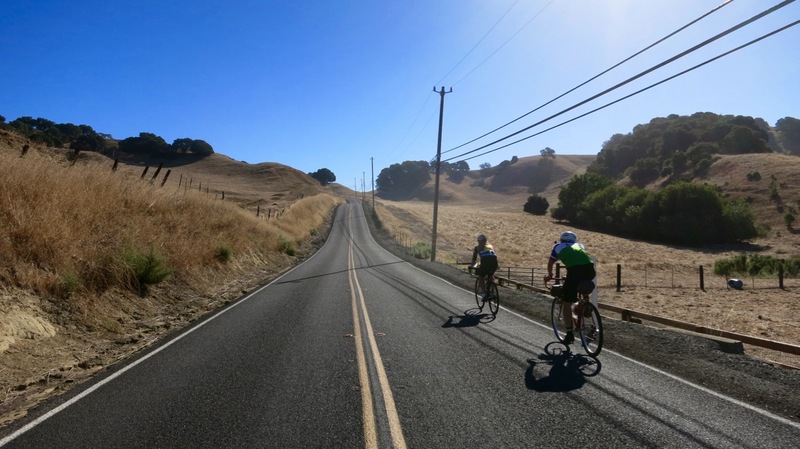 All of my weekend rides have been shorter than 65 miles (and mostly on dirt.) 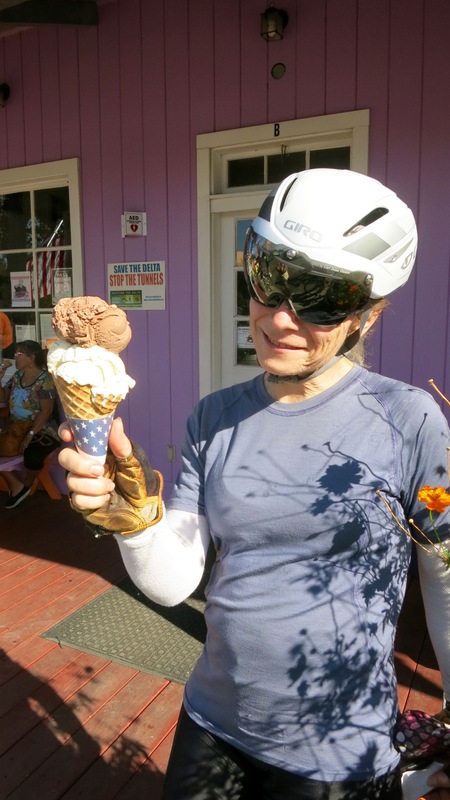 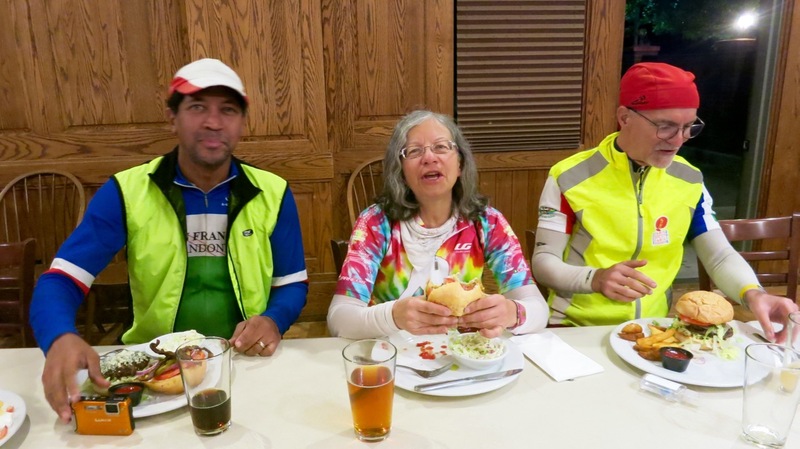 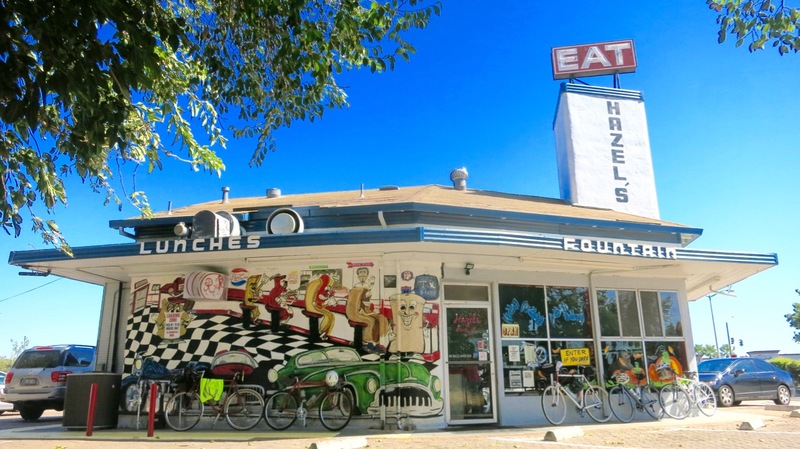 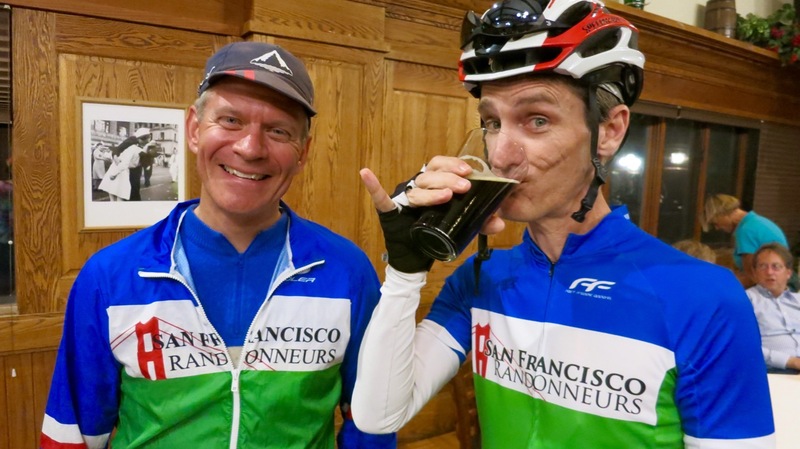 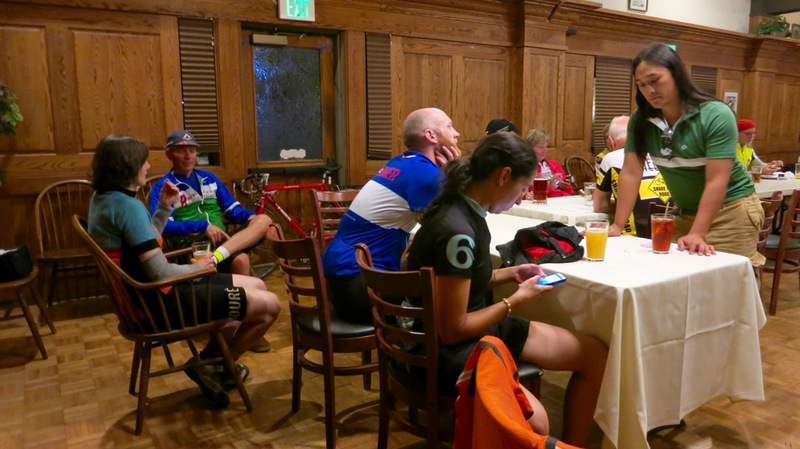 But since I do love these randonneur team events (they’re my favorite type of brevet! 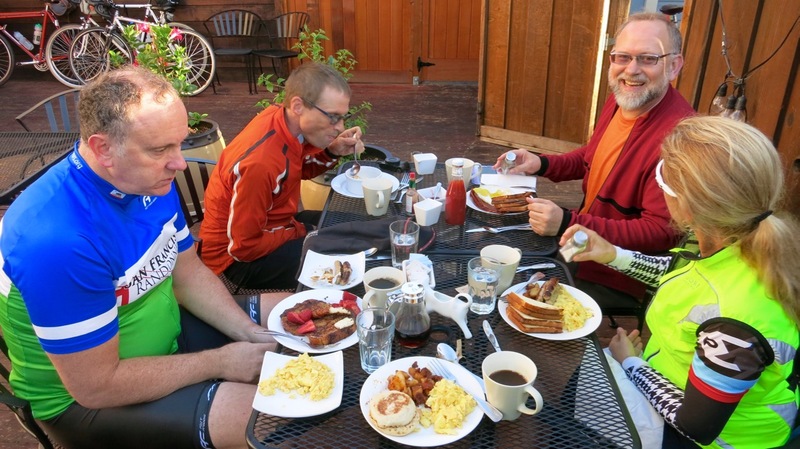 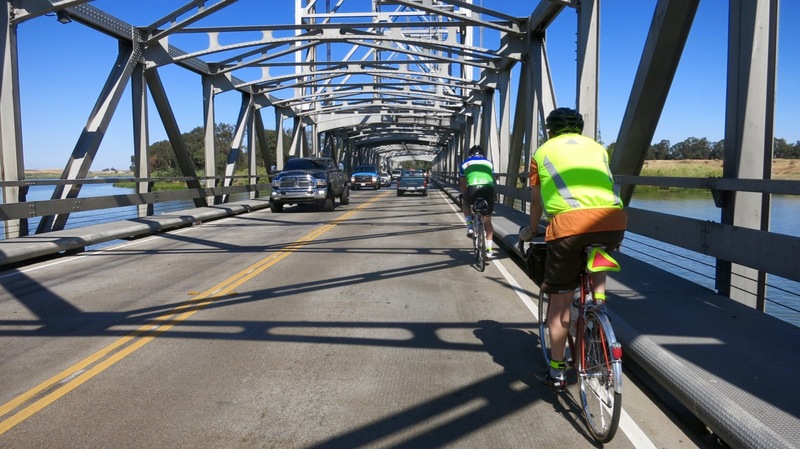 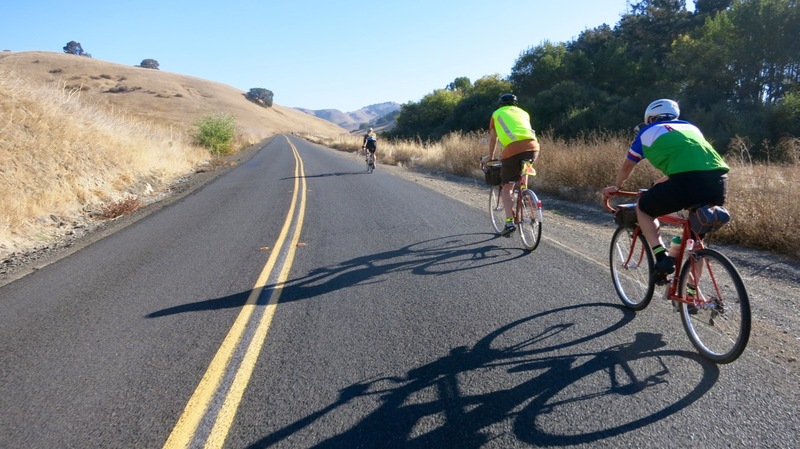 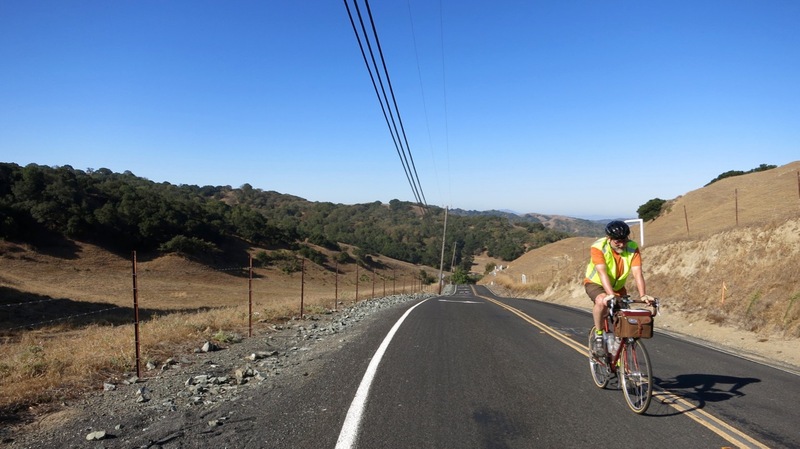 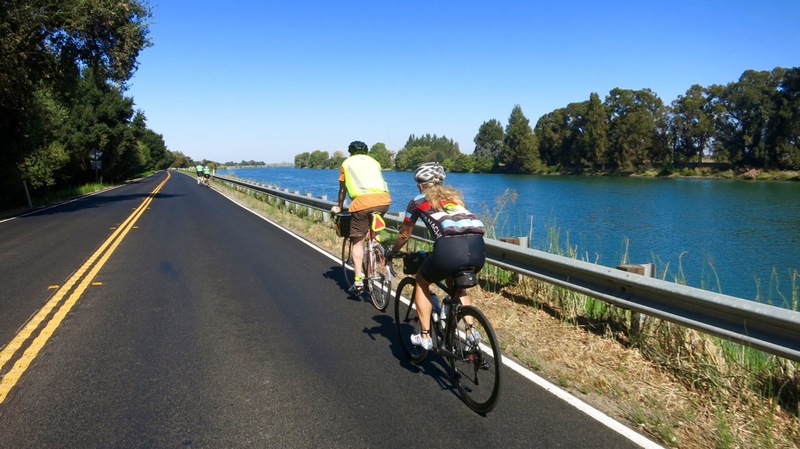 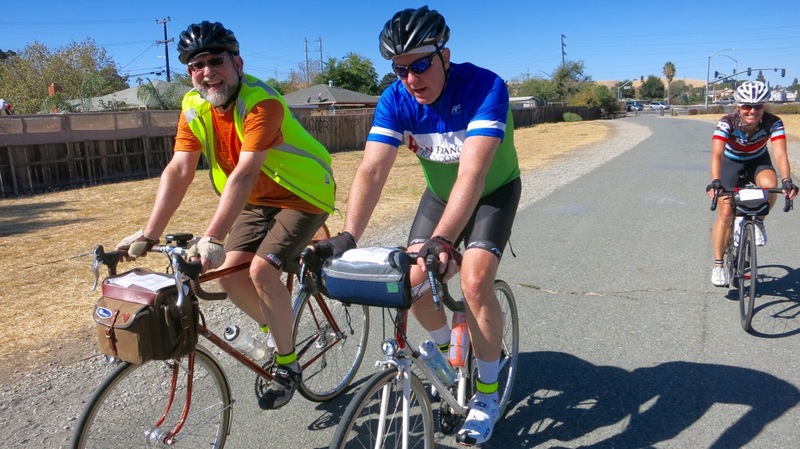 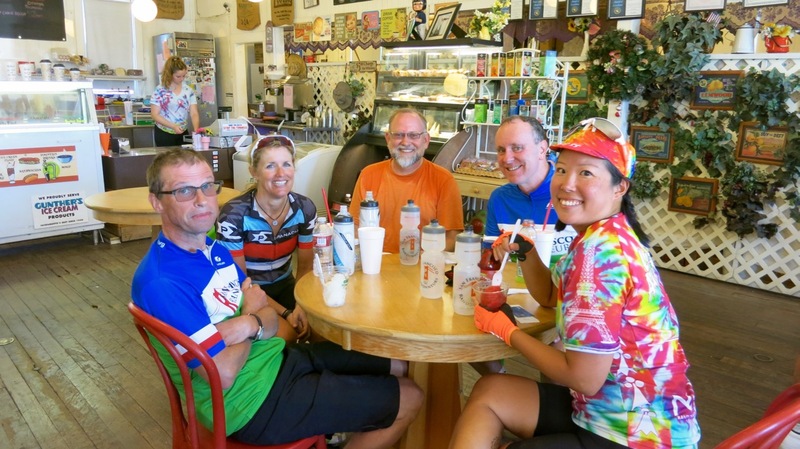 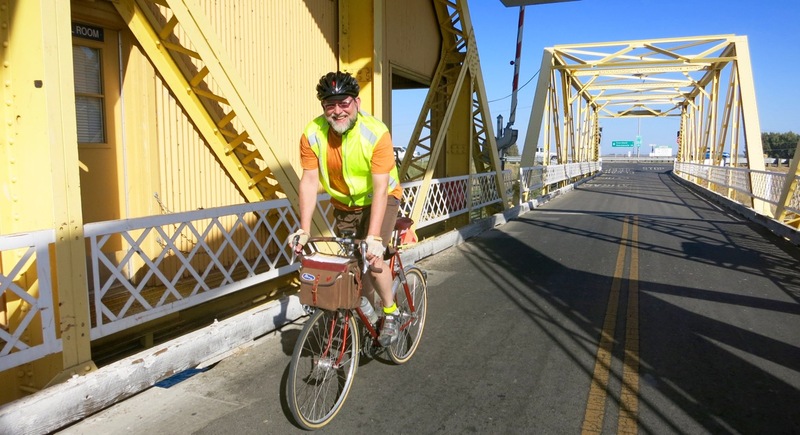 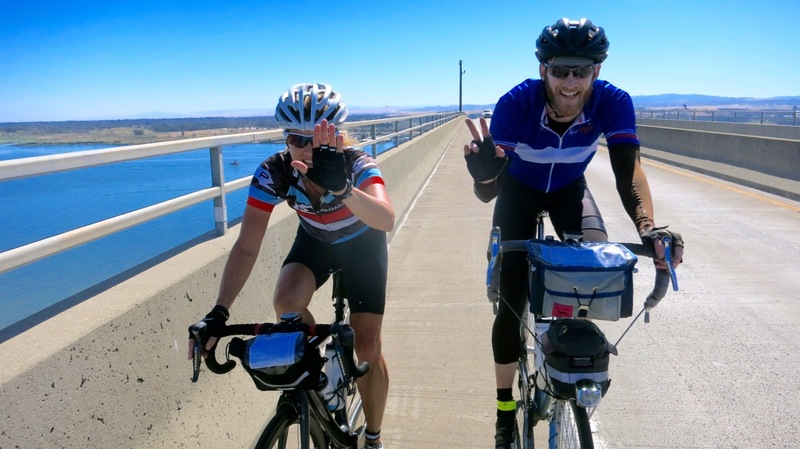 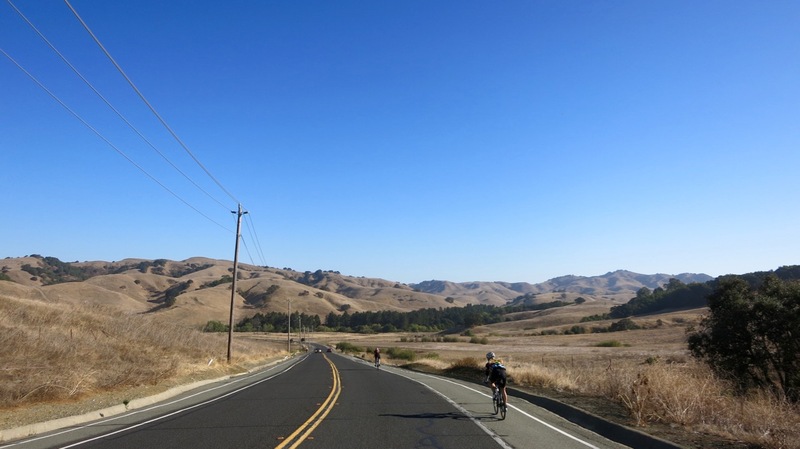 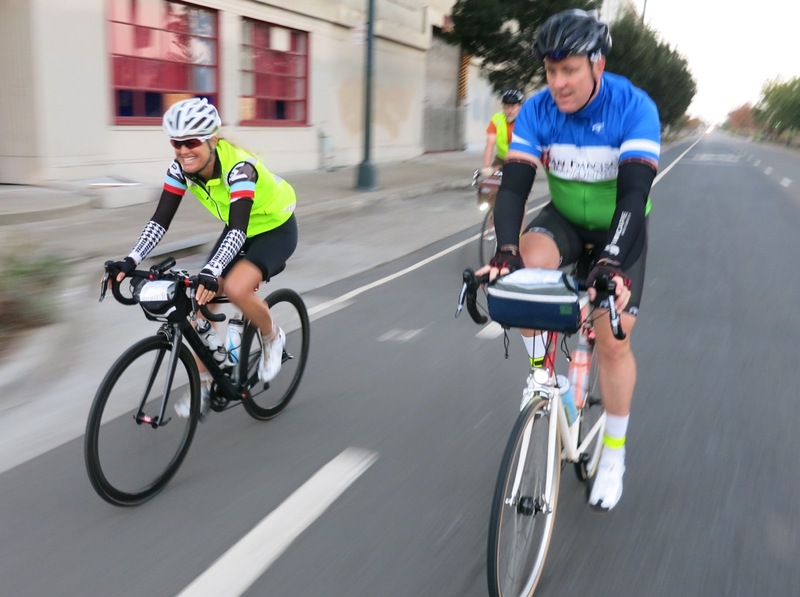 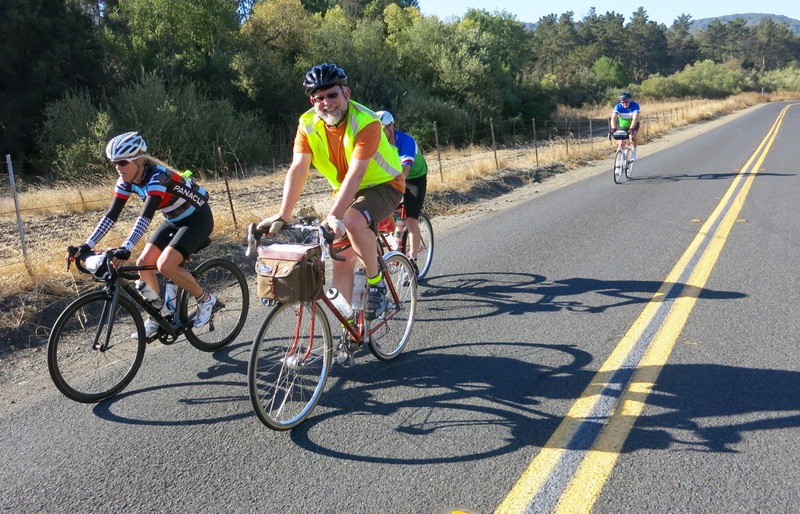 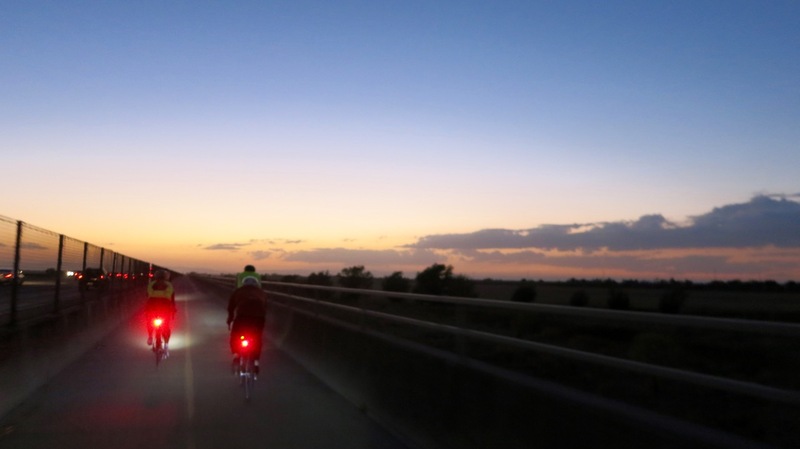 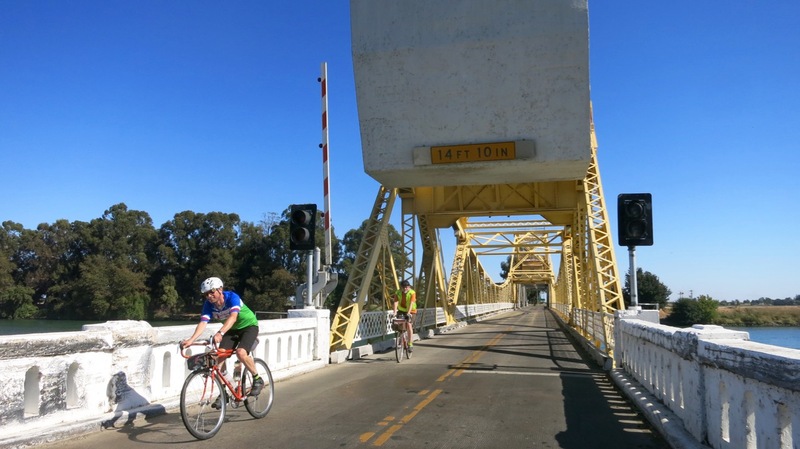 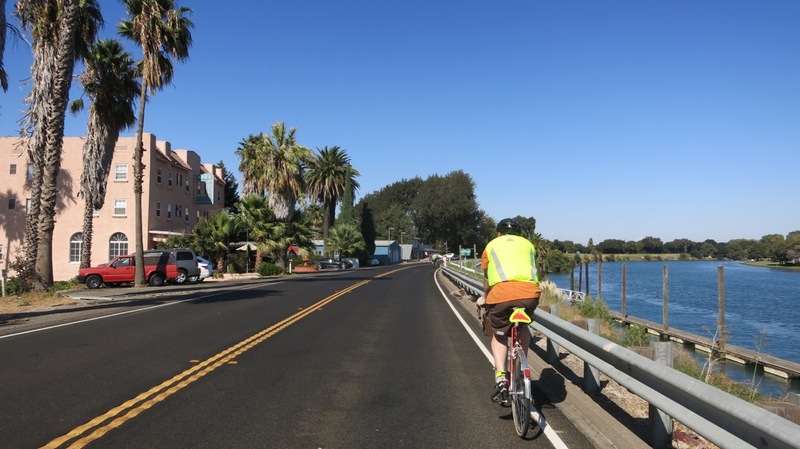 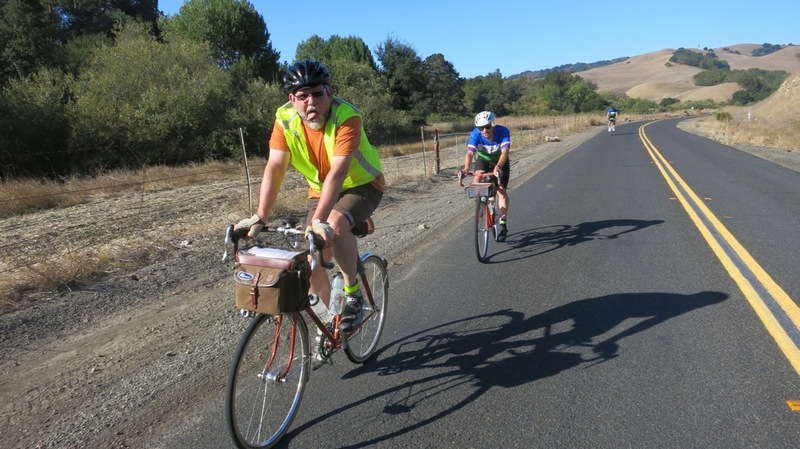 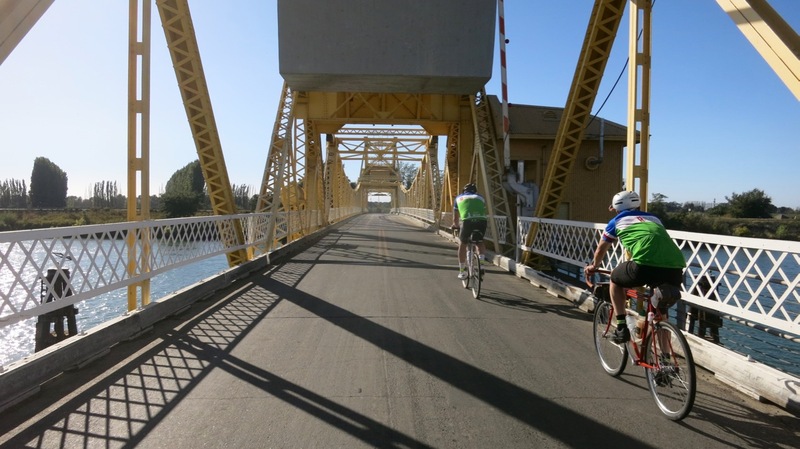 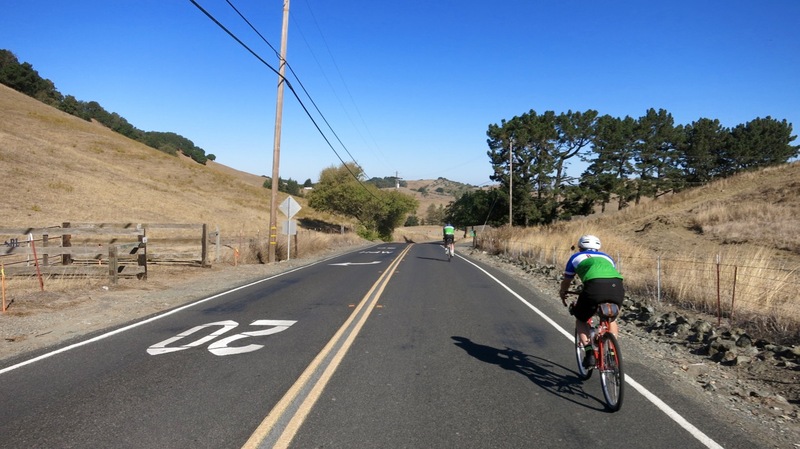 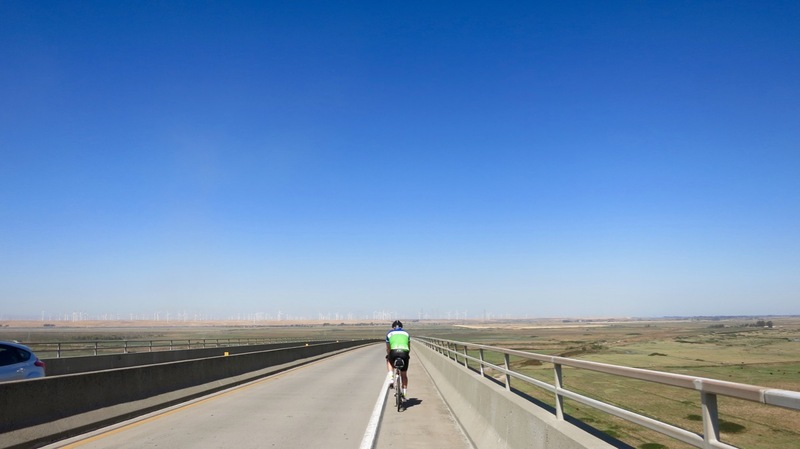 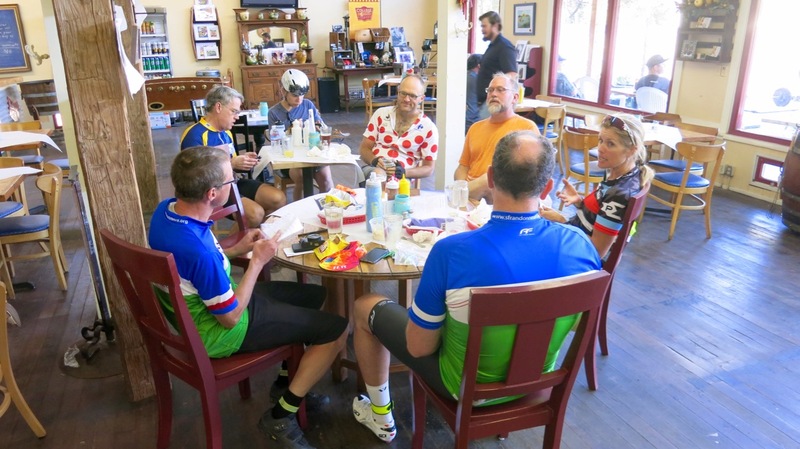 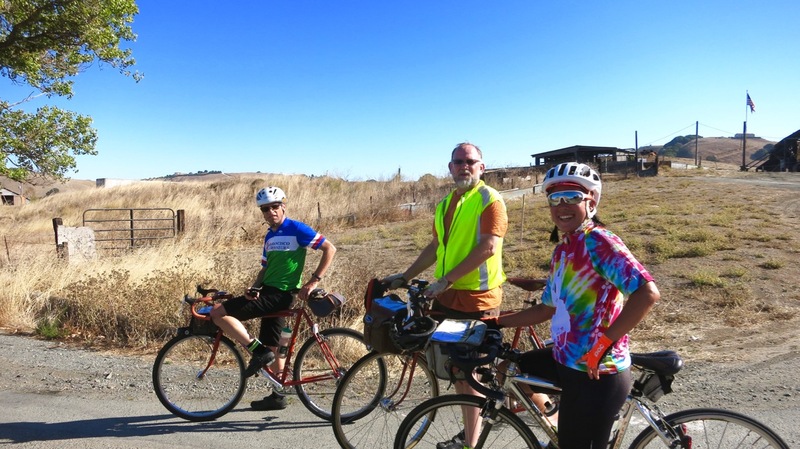 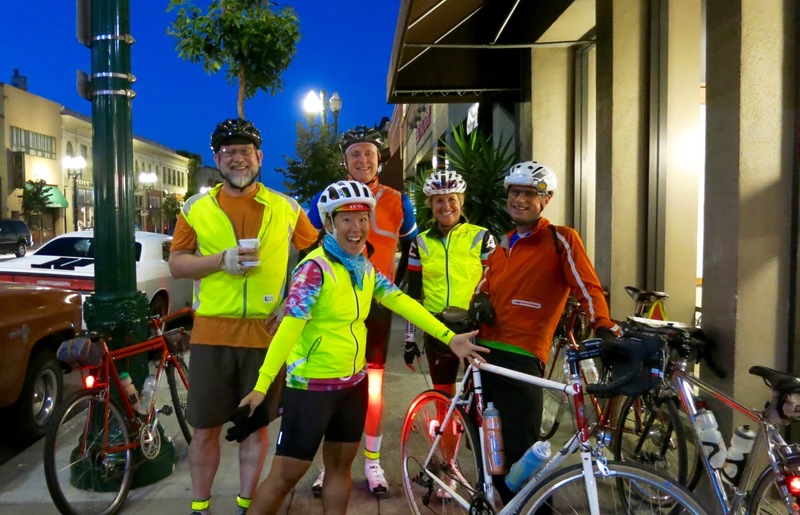 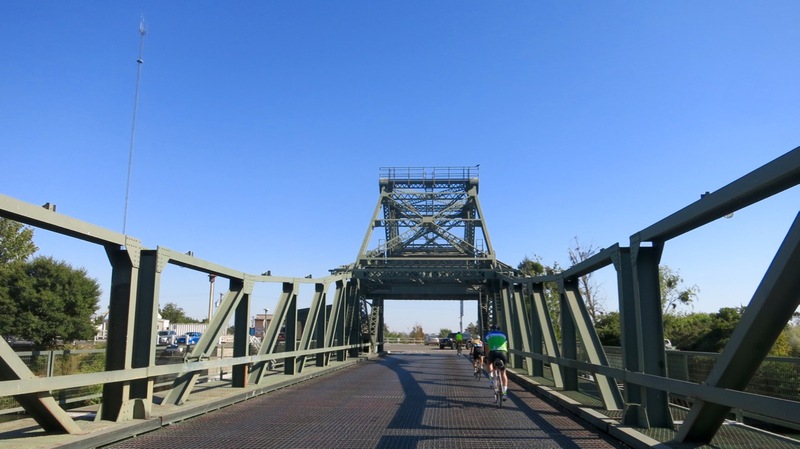 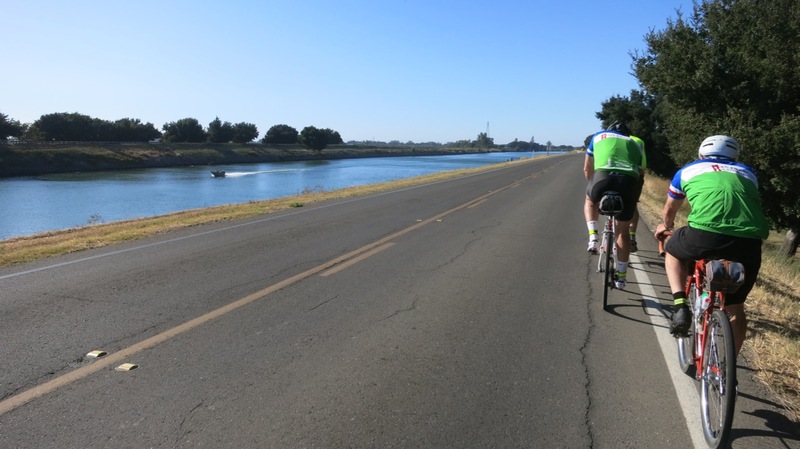 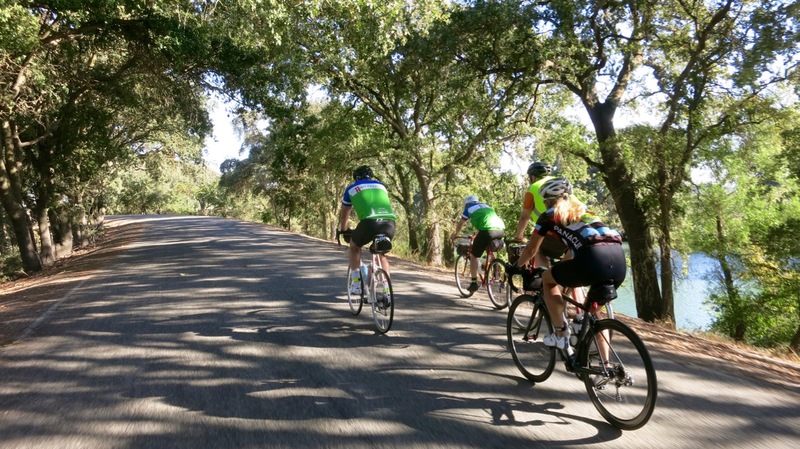 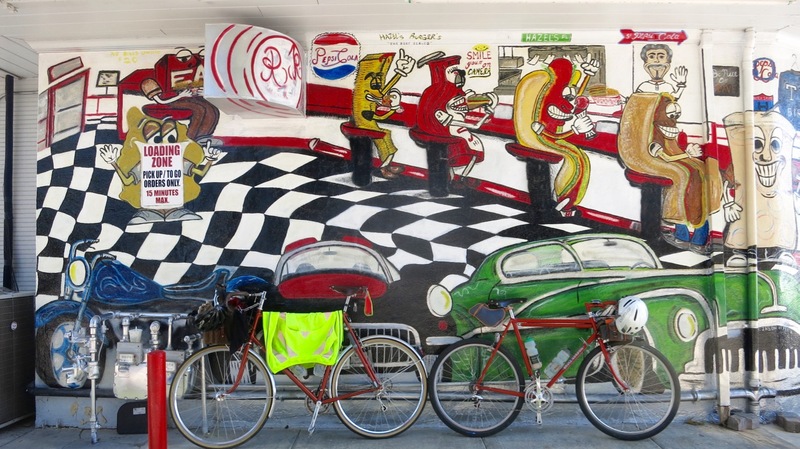 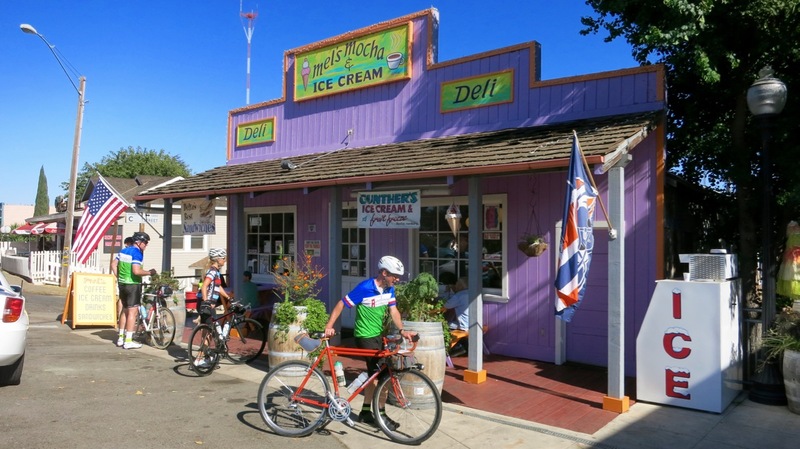 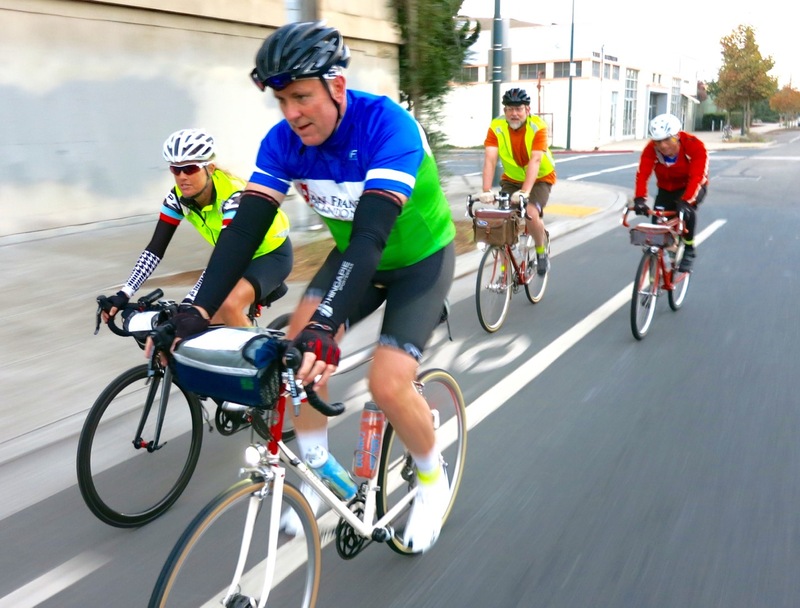 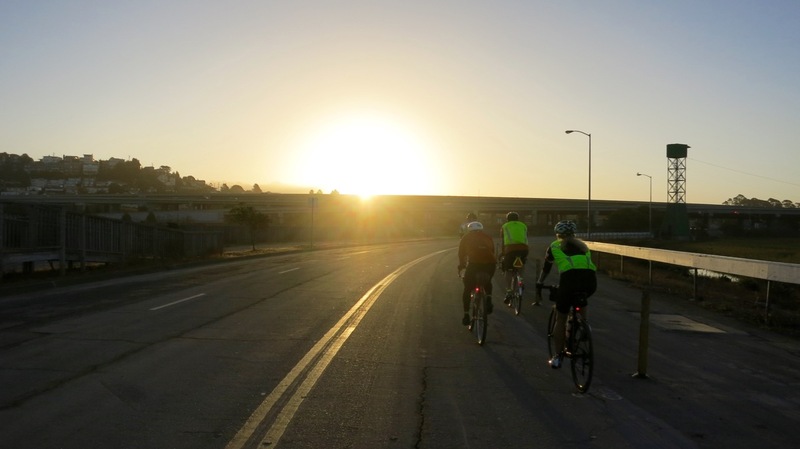 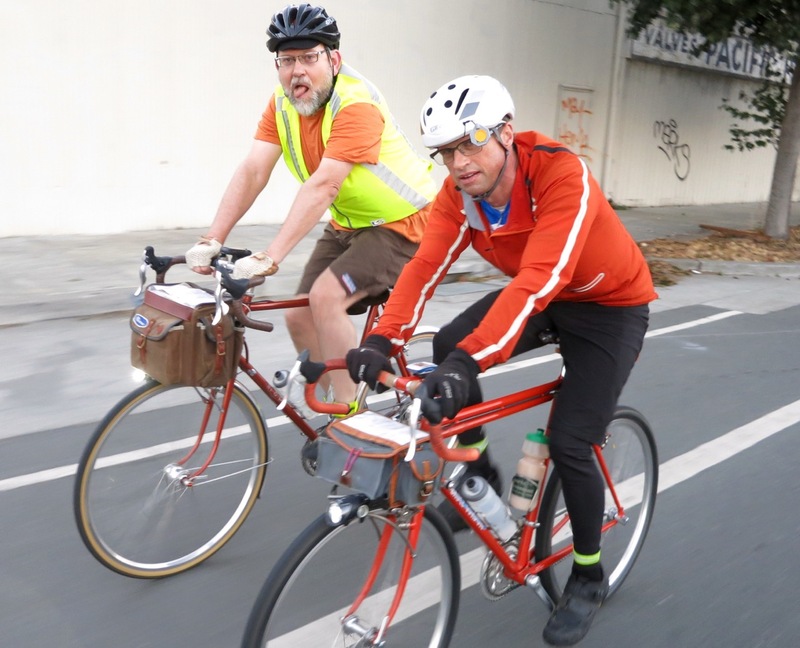 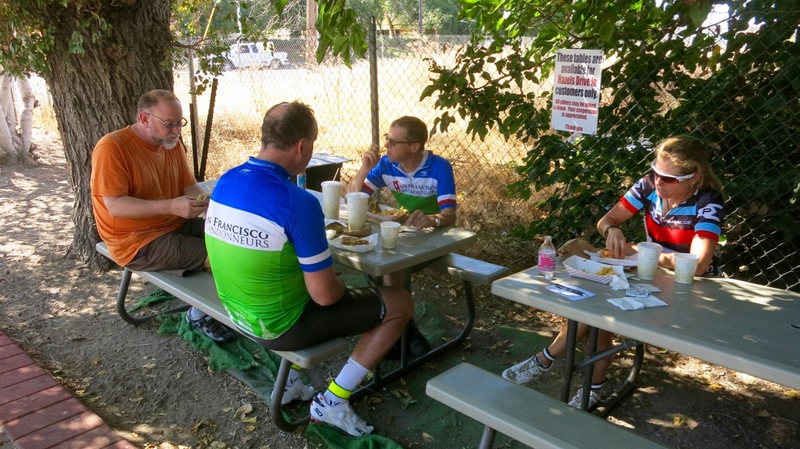 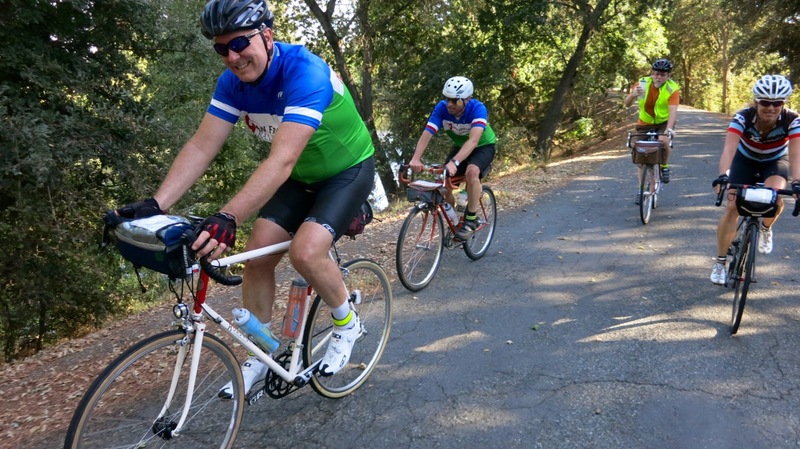 ), I was thrilled to join Team Delta Dawdlers for a mellow 200k jaunt from Alameda to Davis. 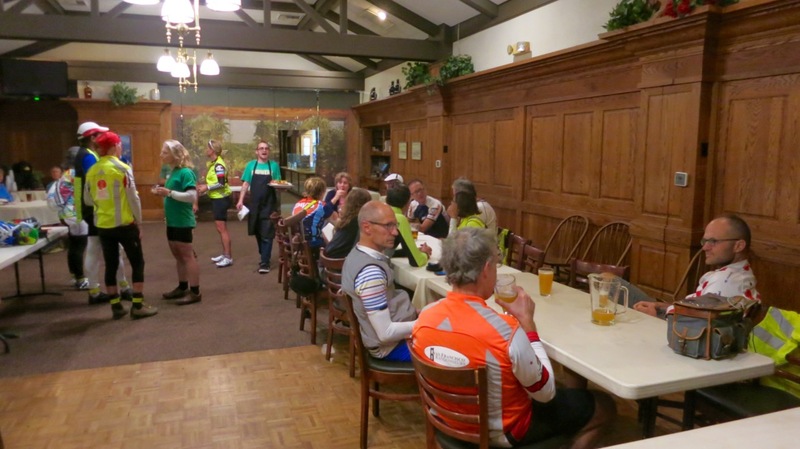 Plus our team was entirely comprised of anciens / anciennes, so what better way to spend a lovely, summer-like Saturday than reminiscing about that special event with fellow finishers! 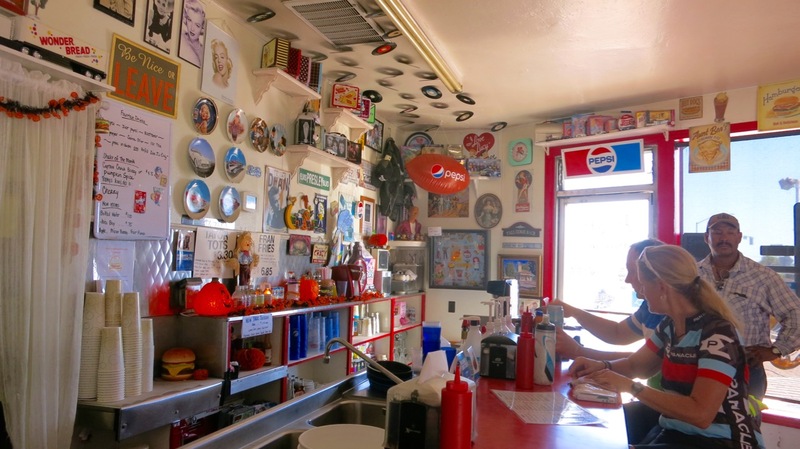 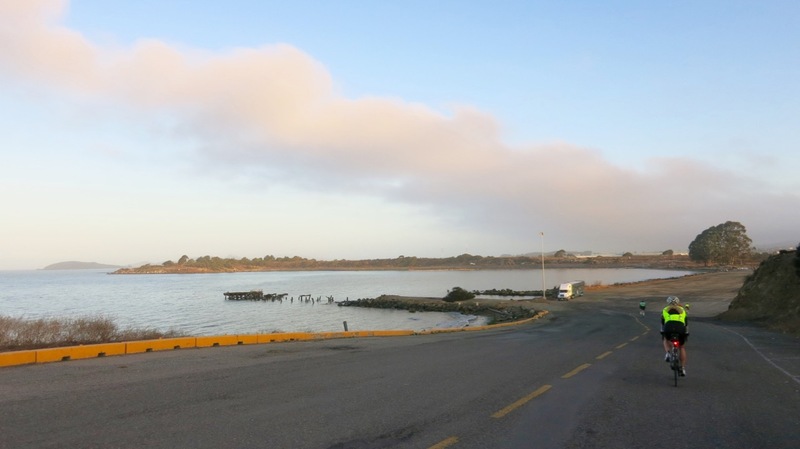 Other highlights of the day include: beautiful sunshine all day; tasty breakfast at Lucky Louie’s at Pt. 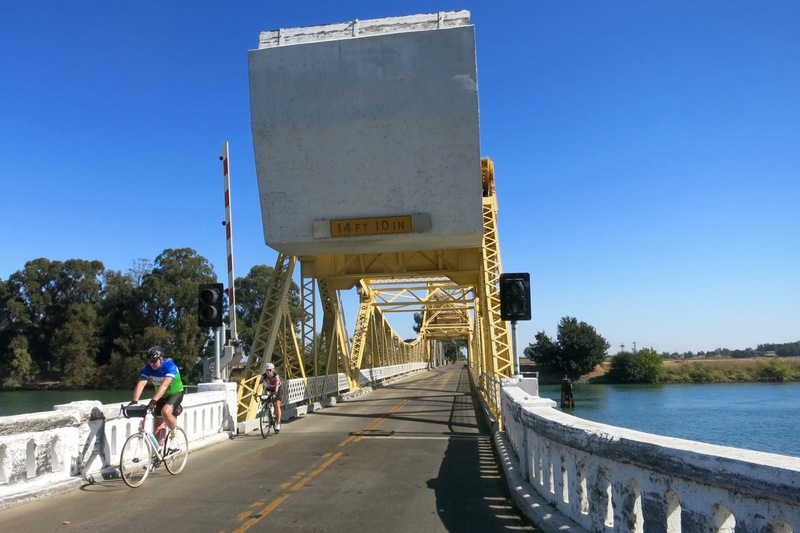 Richmond; introduced to a new route to Antioch that bypasses the traffic of San Pablo Avenue; outdoor lunch at the venerable Hazel’s Drive-In, which has been around since 1947; saying hello to Jon B. on the Antioch Bridge; a much-needed ice cream stop in Walnut Grove; two goat herd sightings and multiple bridge crossings in the Delta; having my towering teammate Steve serve as the perfect windshield from the strong crosswinds; BBQ dinner in Clarksburg while the local high school had a weightlifting fundraiser out front; crossing paths again with Jesse, Theresa and Todd (we’d spotted them in Walnut Grove as well); fun after party at Sudwerk Brewery, where I got to hang out with all of the other teams and drank two Pink Lady cocktails to celebrate! 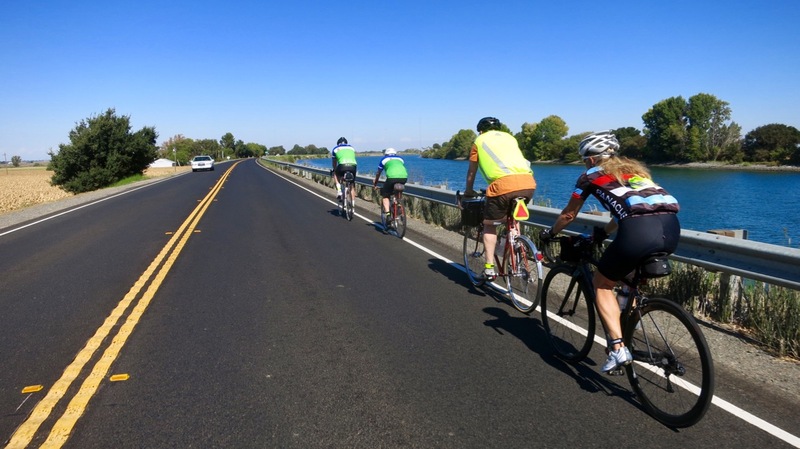 (Plus TBO picked me up as well so I had a speedy ride home.) 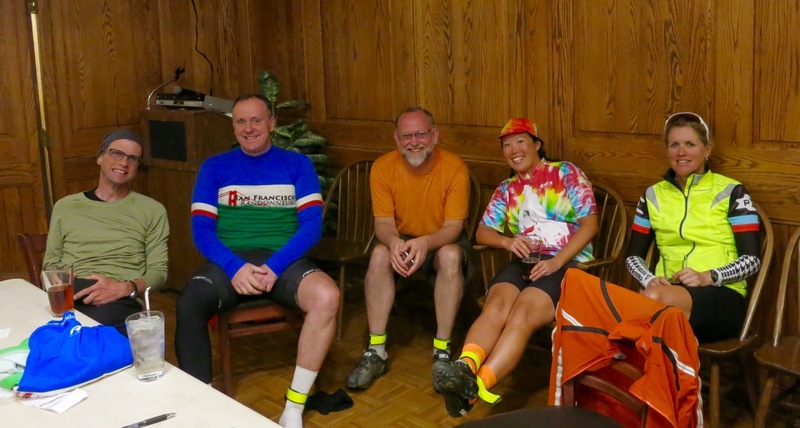 Thanks to Keith for leading Robbins, Steve, myself and Kris — it was her very first Dart and she had a blast. 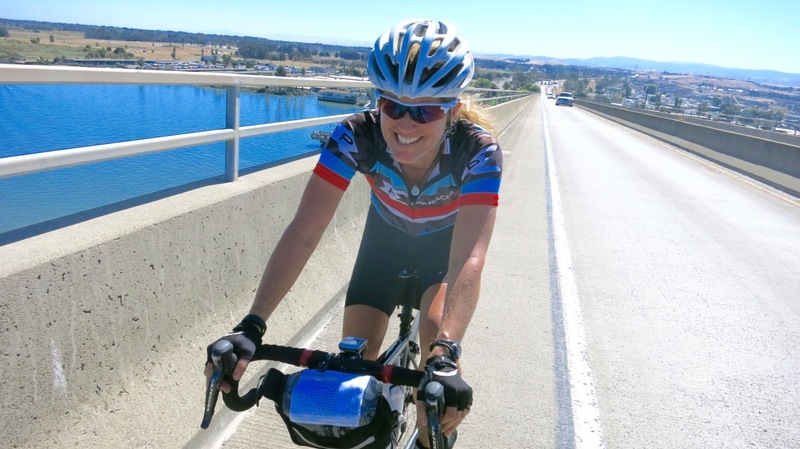 (And she made me get in front of the camera once in a while.) 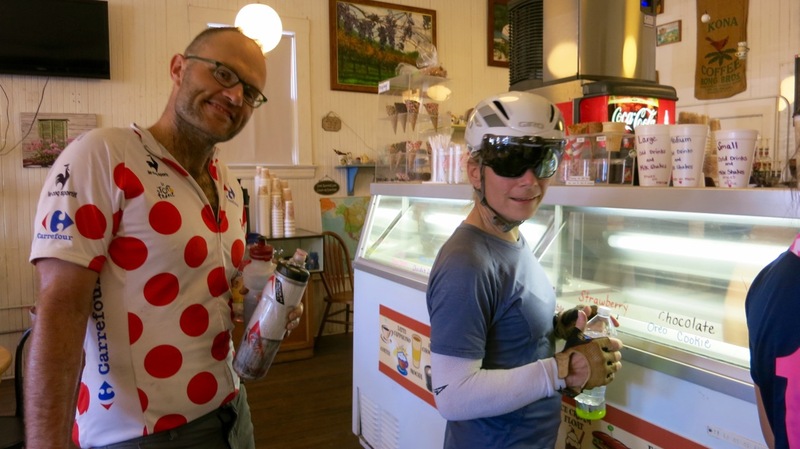 I think Robbins won the city limits sprints for the day, although I was stoked to have earned my first uphill win (I believe Kris will be angling for them in the future as well, so watch out.) 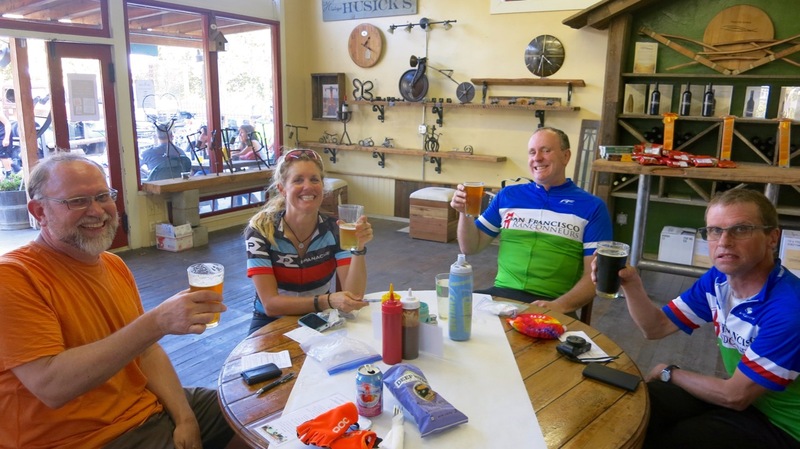 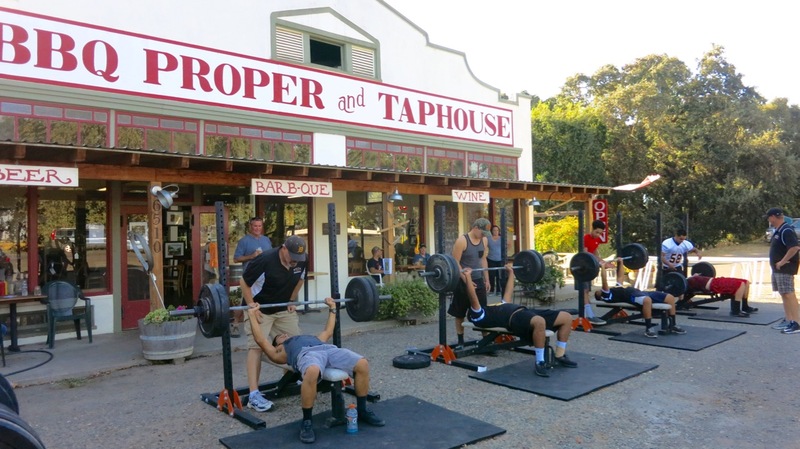 We laughed, we rode, we drank beers — a winning formula for a great day on the bike!